Kids Parties - Have some fun! 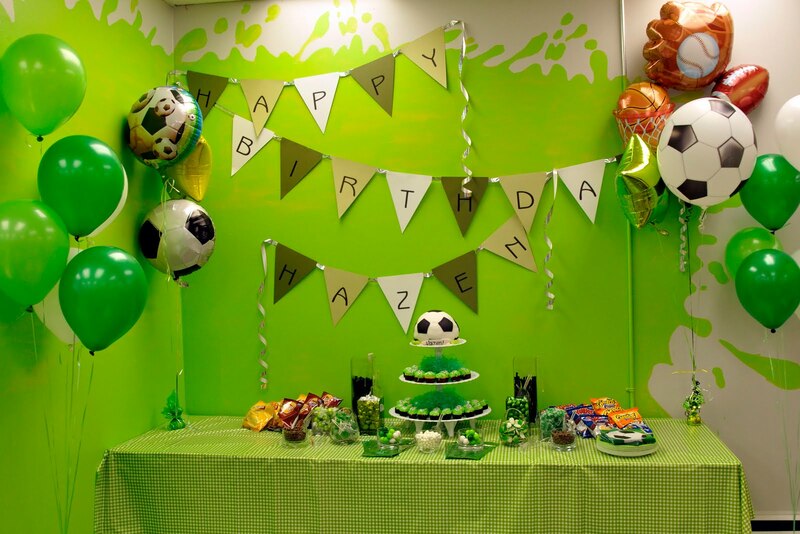 We don't as often have the chance to do up kids parties, but I wanted to show some fun pics that I hope will inspire you a bit and give a deferent flavour to our blog. While everyone is buzzing about the royal wedding, I thought why not bring us back to the parties we all participate in EVERYDAY. Our kids, relatives and friends birthday parties. And how do we make them fun, look great and stay on a reasonable budget. (honestly, not all of us are all that crafty). 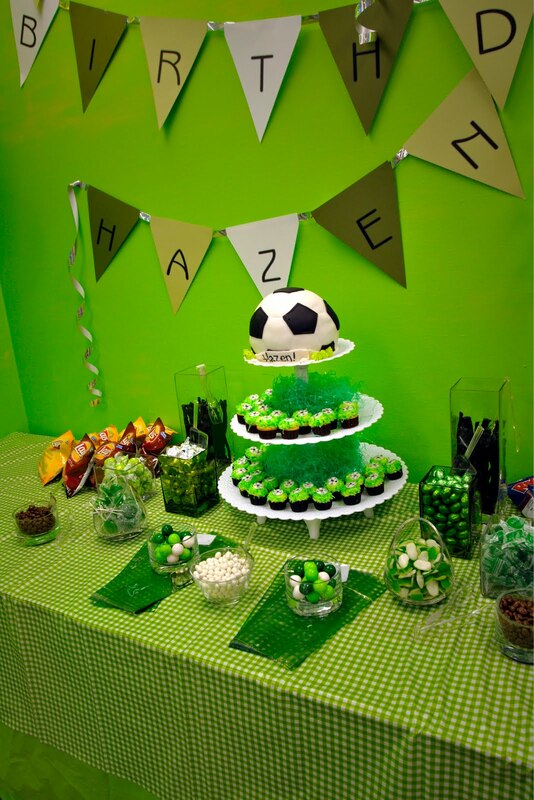 I know most of us do not have the budget to make huge over the top kids parties, but a little spurge here and there and make for a fun success. 1. Create a theme and colour palette and continue the look a consistently as possible. When you keep the colour consistent everywhere it give the appearance you put more time into the party than you may have actually done. This also means that those of us who are not as crafty or simply do not have a lot of time can give the illusion that a lot of time went into the party. 2. Create games and crafts around that theme and palette. 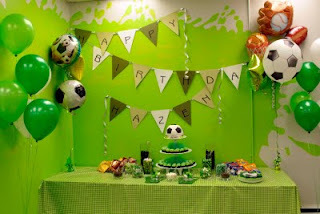 We recently had our son’s birthday at Art Land Inc. It was a great place for all the kids to do a themed craft and have a ton of fun for 3 hours. The staff asked us our child’s like and what the theme was so every child did fun soccer themed craft and brought them home. 3. Make one focal point and focus a lot of the decorations in that one area. This is the biggest secret I can share if you want to make an impacting party on budget. Everyone always gravitate around the food, so why not bring the candy buffet and theme and focus around the table? 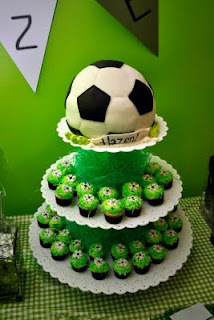 We simply adore Cake-ology’s cakes and all the creations they make for us when we give them an idea. 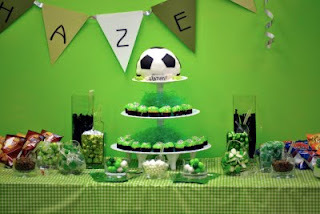 They always are my centerpiece for our kids parties and I just build and build around it! Keep the same colour palette again (monochromatic) and fill the area with balloons. We always get the wow, and it is completely enjoyed because it is based around the best part of party.. the food! Well, I hope you enjoy the pics below. This was simply a labour of love. These types of parties are definitely the most fun to plan, but most importantly the most fun to attend!